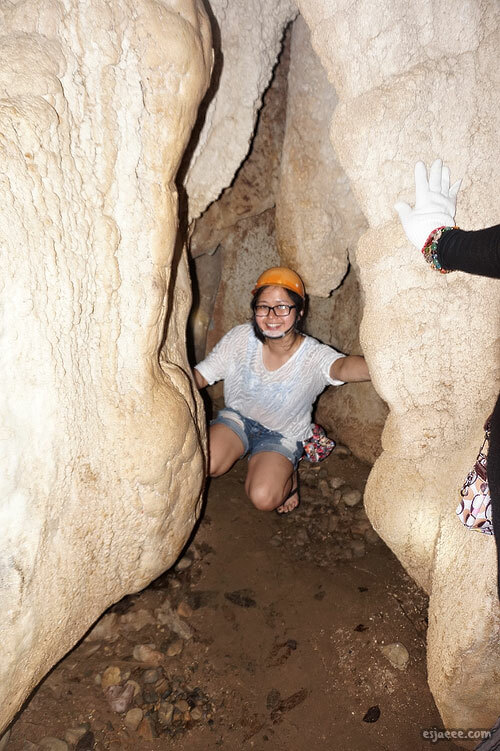 After our trip from the Underground River, we headed straight to the location of Ugong Rock Adventures where we were about to engage in an activity called spelunking (I find this word odd, funny. It is basically a fancy word for caving). 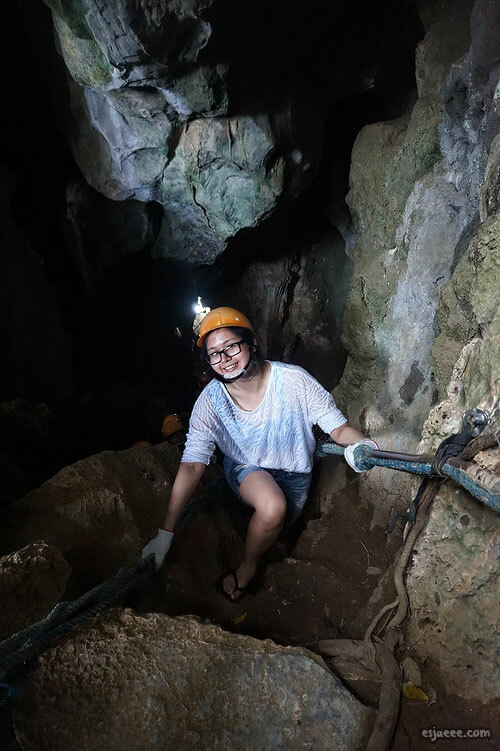 I regret completing this post months after the experience since I cannot remember exactly how long it took us to travel from the Underground River to Ugong Rock. But according to Google maps, it is about an hour and a half drive. But I felt like it was less than that. 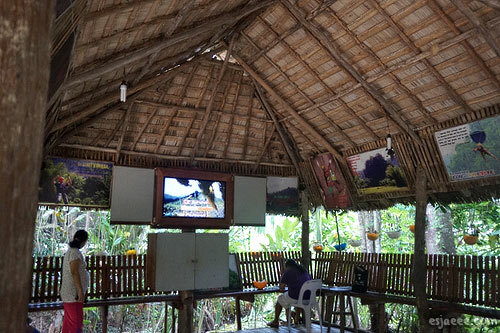 After paying at reception, we were brought to a hut where we were inducted at what to expect, what we were about to do. The video also talked about the health and safety regulations of the attraction. After the little induction, we were guided and headed over to the Gear Station where we were given a protective helmet and gloves. 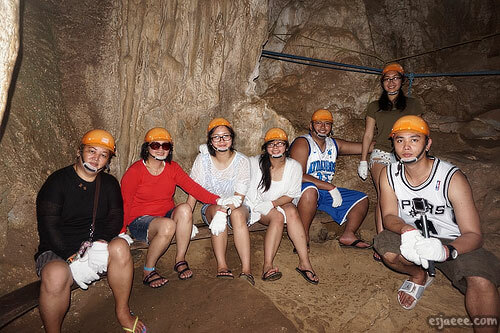 Since we were about to spelunk the caves, the helmet was to protect our heads from the rocks. 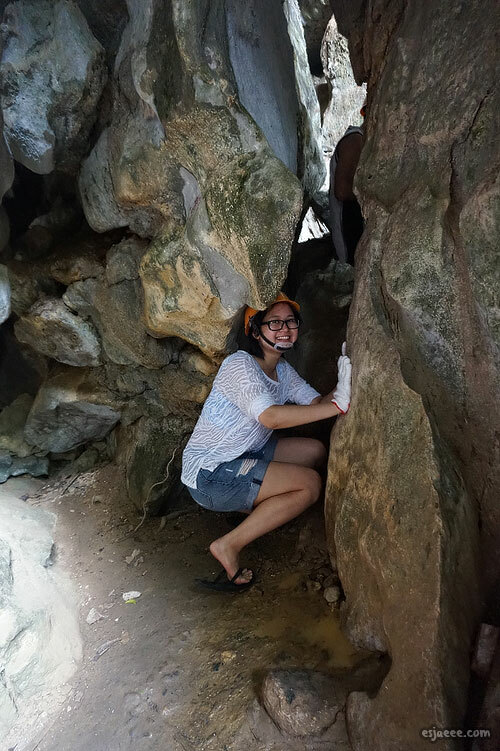 The gloves were used to protect the caves since the staff members explained that the acidity our hands excrete from perspiration could potentially damage the caves. 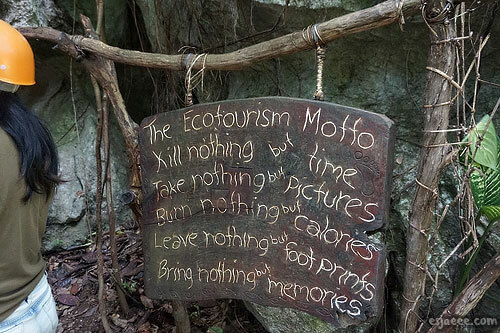 I was so happy that this attraction adapts sustainability and reinforces it to their guests. Some of the gaps between the rocks were quite narrow. It was quite the workout. Mom was quite worried if she would fit but she eventually did. 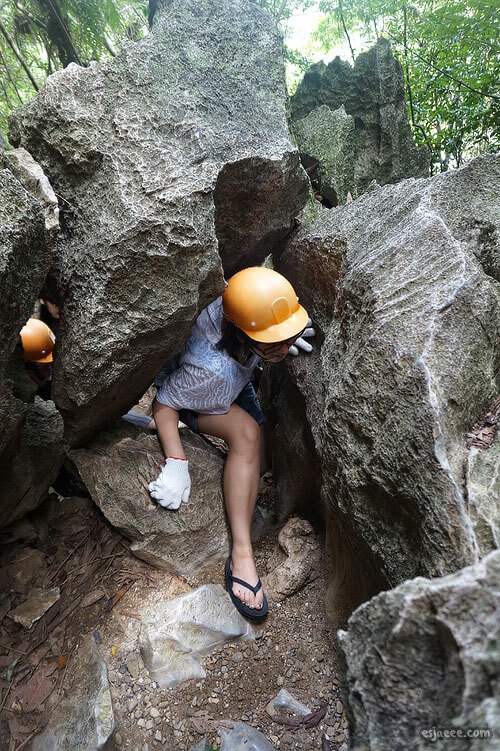 There is a BIG obstacle that we had to go through to get to the top/end of the trail. 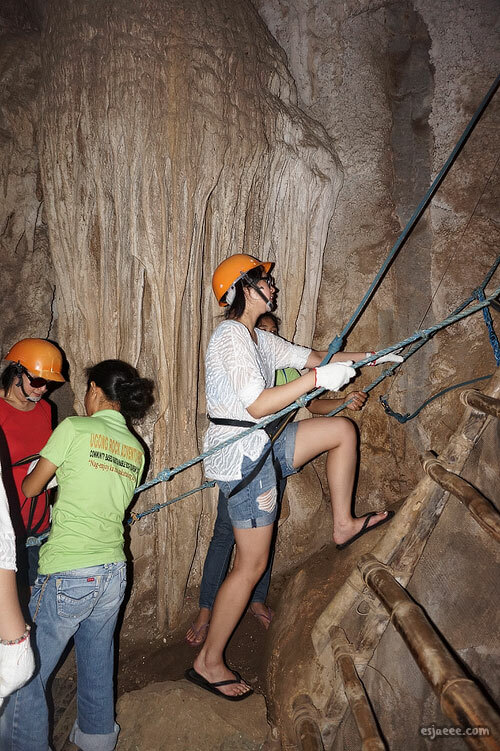 The staff members wrapped harnesses around our legs and waists. 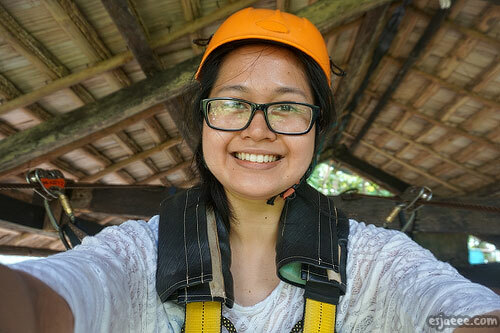 There was also another harness that was connected at the top where another staff member pulled us up. And of course, a photo has to be taken to remind ourselves that this was no joke. And yes, I was wearing the wrong clothes but I was not expecting gym class. 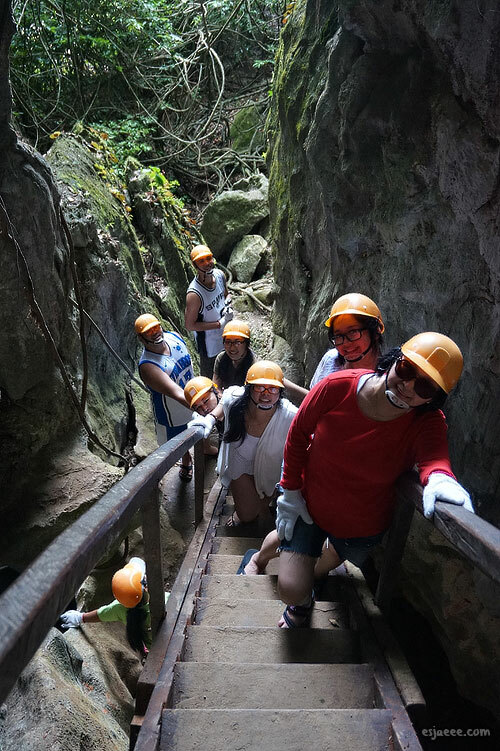 After climbing up a very steep cave, there were wooden benches at the top where guests were advised to take a couple minutes to rest since the trail was far from over. ...And more narrow rocks to go through. 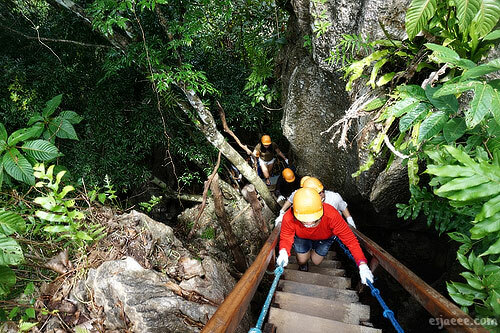 A very steep staircase welcomed us before we reached the top of the cave trail. 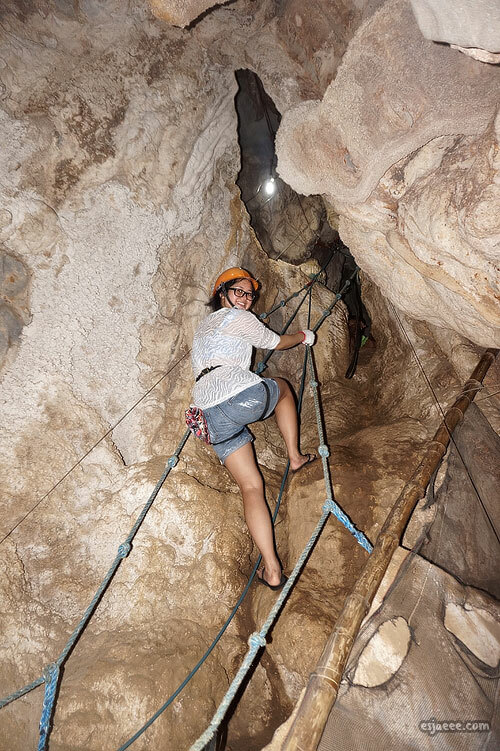 All the spelunking/climbing through steep rocks and narrow caves were totally worth it. The view at the top was breathtaking. I remember my brother complained in a jokingly manner when we reached the end of the trail. He said "This is not a vacation, this is a fitness test!" And it seemed like it was one. 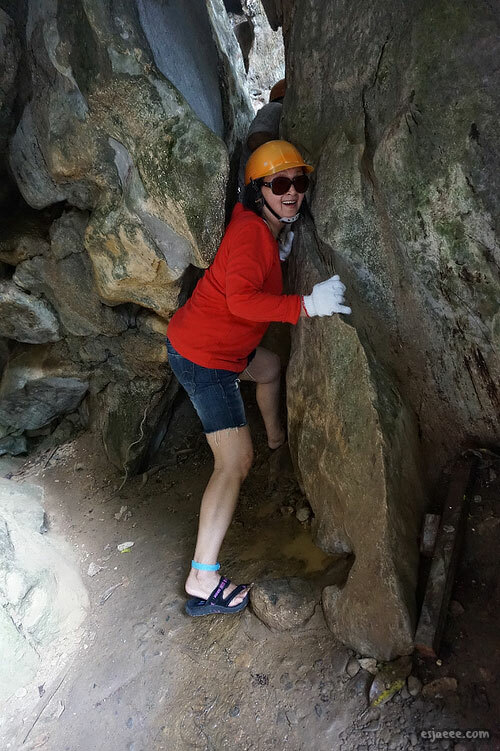 After climbing up the caves, we had to go down to where our van was. 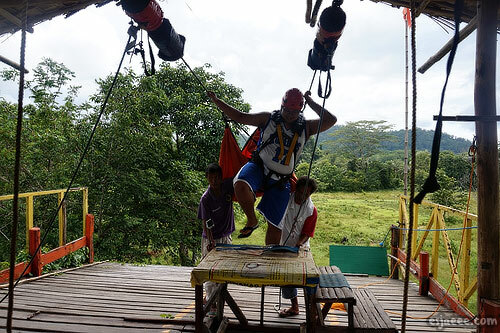 The only (well, easiest) way to go down was through a zipline. 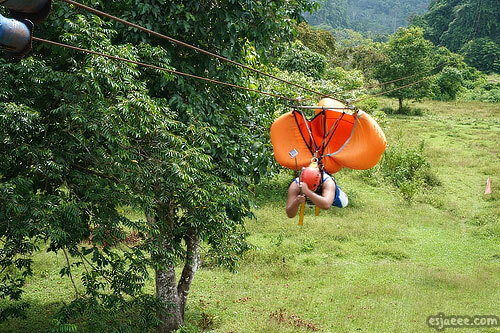 There were two ways you could "ride" a zipline. My mom and aunt decided to ride in a sitting position since they were really not fond of the Superman position that the rest of us did. The employees helped us on a stand and put harnesses around us. I was already lying in the Superman position when I took the photo. It was about a minute or two from one end to another. They also took individual photos of us which I completely forgot and none of the photos looked right. Once the other end was reached, more member of staff were there to help us step foot on a stand. 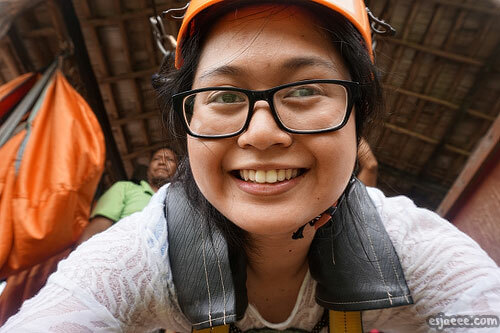 We collected our photos down stairs of this end of the zipline. 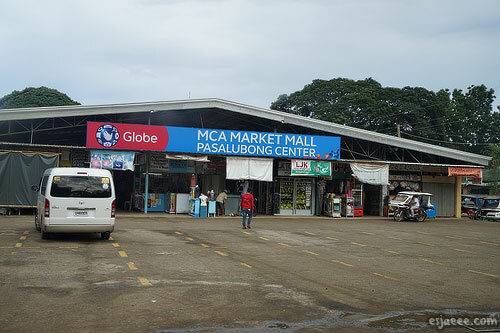 After our very tiring yet fun adventures at Ugong Rock, we headed to MCA Market Mall. 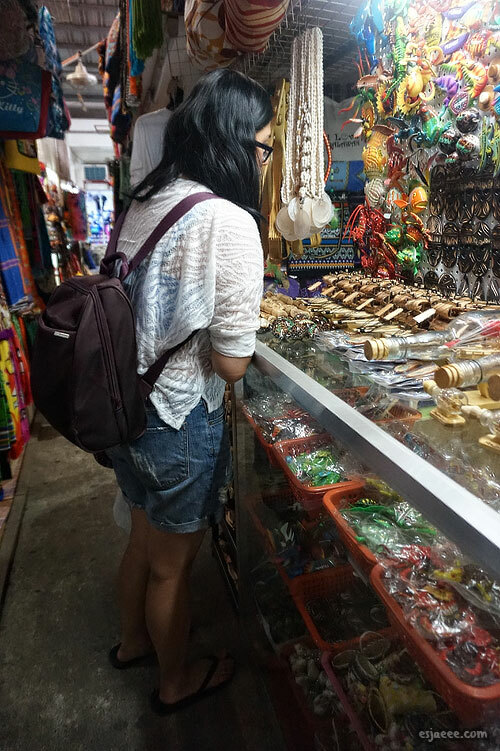 It was the best place to get souvenirs at a very cheap price. This place was great since it had a lot of cheap deals for souvenirs. They had a section where we got our keychains. 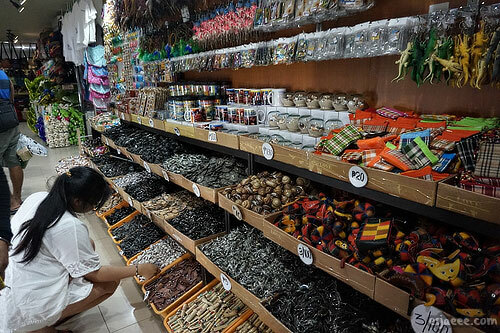 They had deals like each keychain was for PHP 5 (10c) or PHP 20 (40c) for 5. There were other stalls inside the mall too where we found more souvenirs! I bought a bunch of stuff for friends and I especially like the sand globe that I got for a friend who is a collector of snow globes. I thought the sand globe would bring a unique touch to her collection. 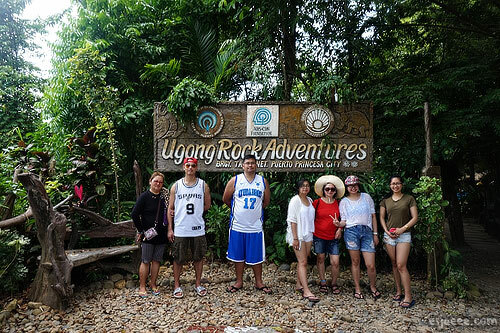 I really enjoyed our adventures especially at Ugong Rock. 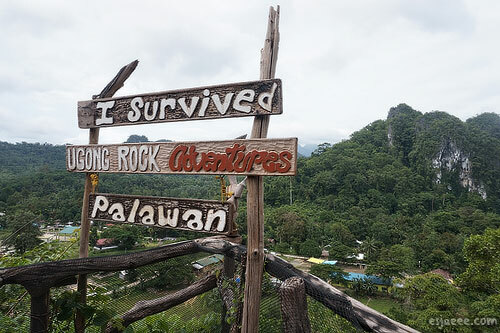 Ugong Rock is not for the faint hearted in my opinion. People considering to go there should mentally prepare themselves not to give up in the middle of the trail. I mean, you shouldn't have to since the end of the trail is worth all that sweat and leg cramps! 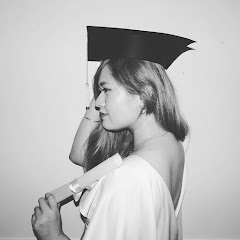 I hope that this post was a good read for you guys! P.S. Life is still quite busy at the moment with my internship. I have already started and finished my second week. Things are getting easier as I now know a couple of things and I am so blessed with great bosses/managers/supervisors. They are the most encouraging and understanding people. I really am so happy that I got this one. Continue to pray for me!